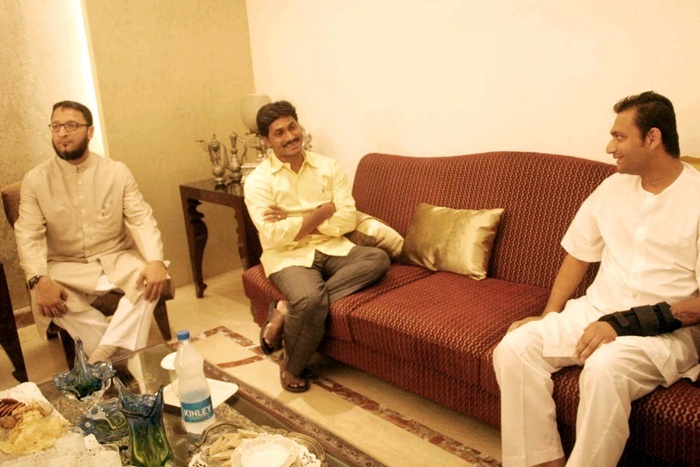 Home English Owaisi’s support to YS Jagan a good omen! Owaisi’s support to YS Jagan a good omen! TRS landslide victory in Telangana elections reflects people’s clear and confusionless mandate. Mahakutami, the alliance of Congress, TDP and other parties bit dust despite their celeb campaigns and gimmicks. KCR has hinted at entering national politics and also chances of steppingin AP Politics. Asaduddin Owaisi who extended his support to KCR one day before election results are announced has now annoounced his support to YS Jagan for upcoming Andhra Pradesh elections. “Jagan is a good friend. Chandrababu Naidu has spent crores of money in Telangana elections but failed. Jagan will come to power with strong public support and anti-incumbency votes in AP,” said Owaisi. The alliance is seen as good omen for Jagan.